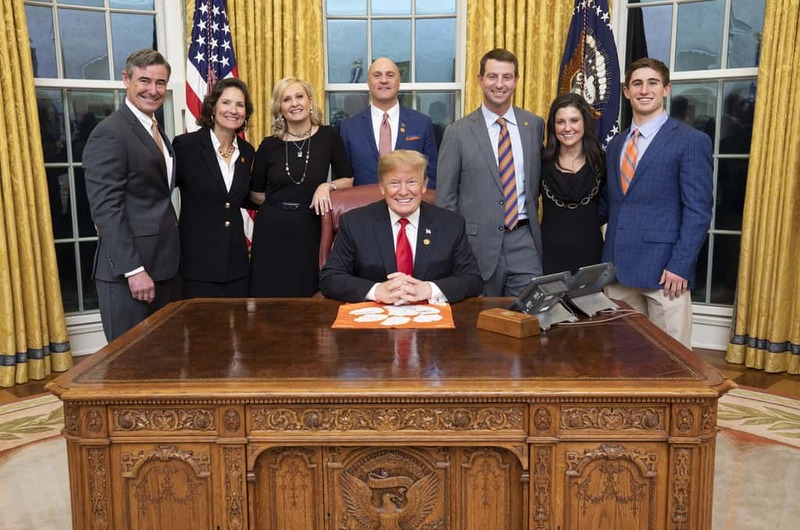 Donald Trump made headline news when he served the Champion Clemson Tiger football team food from various fast food establishments. The President, in the midst of a government shutdown, claimed that he had paid for the food himself. What went underreported, however, was player attendance, and in particular, African American player attendance. In an exclusive story, The Root reports that only 15 black players visited the White House for the championship celebration. Each of the players made the point that Clemson’s coaches did not order them to attend the celebration. The school says they are happy with the level of participation. The school’s associate president for strategic communications wrote, “We had 76 student-athletes (approximately two-thirds of the team) make the trip to D.C. For a variety of reasons, several players were not able to adjust schedules to make the trip.” For black players, the participation rate was closer to 25%.